Made of apple wood and jewelry resin. Size, mm: 70-95 (height) х 60 (max diameter). 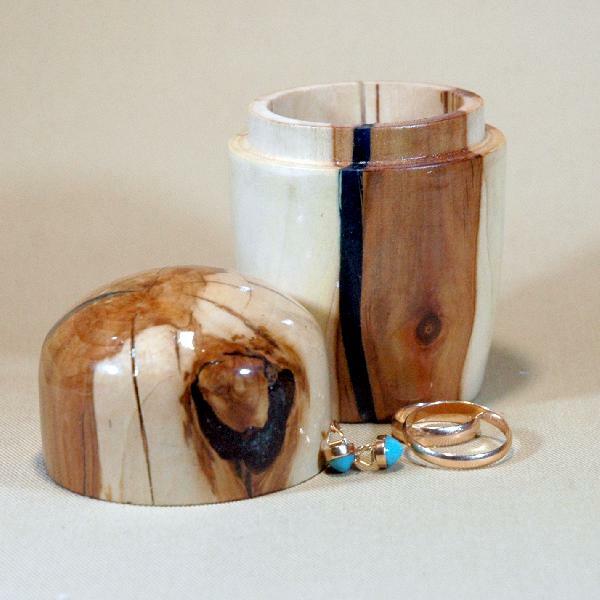 An apple wood casket that is made truly unique by the contrast of light and dark pieces of the wood combined with a translucent stripe of deep-blue jewelry resin. An interesting and useful handmade gift.